The time is upon us once again! This year, I’ll be joined on the decks by Grace of Spades, and the openers are Uzimon and The Shivering Brigade. As always, I’m sure The Slackers have a few tricks up their sleeve for this one. 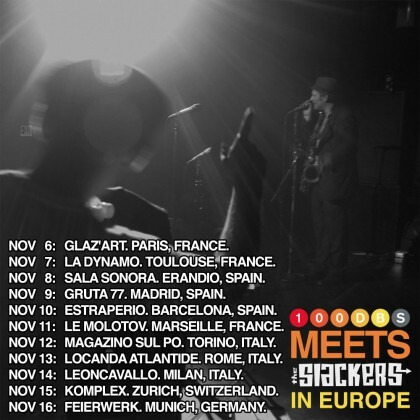 I’m leaving for Paris to meet The Slackers on the road. We’ll be hitting France, Spain, Italy, Switzerland, and Germany together! Ben the Beyonder was kind enough to ask me to bring some tunes to The Rock Shop in Brooklyn for Spinning Wheels this Friday. It’s going to be a lot of fun as we plow through a whole heap of 60s soul and other treats! I’ll open up the night around 9pm, and word on the street is that Ticklah (billed as Earl Maxton for those in the know) will be doing a set later on in the evening. Coming up later in October, The Apple Meets The Orange for a bashment celebrating K Vibes‘ birthday! A team of New York City selectors including myself, Diggy Brown, Twice, Joseph Demension, President Carter, sound system operator Chanter, and heavyweight Downbeat Tony Screw will all be making the trek out to Munchie’s Lickle Taste in South Orange, NJ. 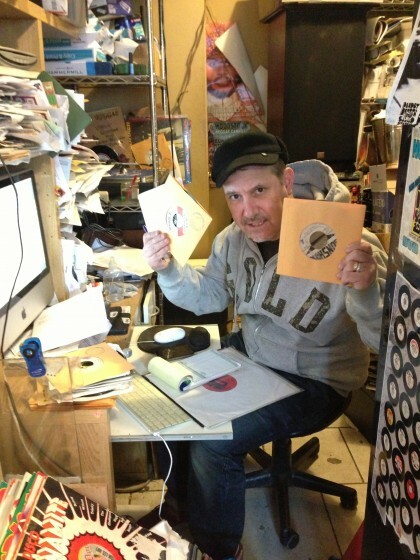 A feast will be served and 45s will be played! I’m very excited for this, as Munchie’s was kind enough to deliver some oxtail to me at the last Reggae On The Boardwalk event this year, and it was delicious. I can only imagine that having it prepared fresh at the source will be better. Come out and enjoy the food and music with all of us. It’s been a great summer, but all things must pass. 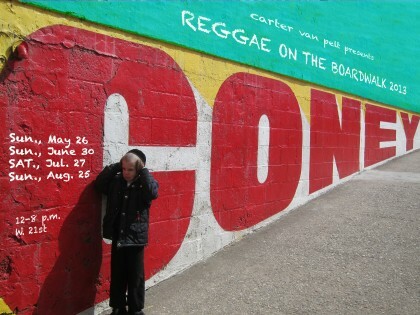 President Carter Van Pelt will be hosting the last Reggae on the Boardwalk of 2013 this Sunday. I plan to do a tag team set with Ticklah slinging 45s and Little Dan of the Frightnrs blessing the microphone with his unique style early in the afternoon. Please join us from noon until sundown at West 21st Street on the boardwalk. Saturday is one of my favorite shows of the year, every time. 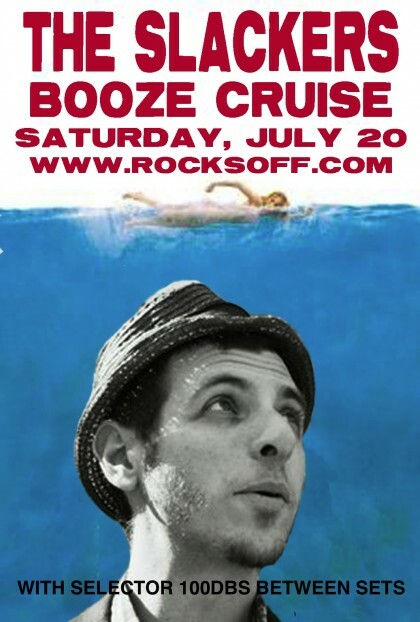 It’s the return of the Slackers Booze Cruise! I’ll be playing soul, reggae, ska and some weirdo tunes while the band takes a breather between sets on the boat. It boards at 7:00 and leaves at 8:00 sharp from Pier 83, so don’t be late! 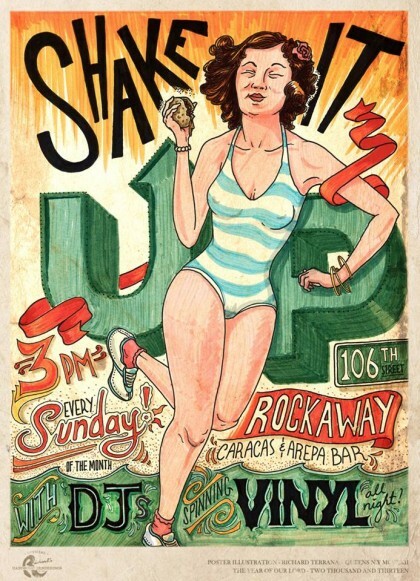 Finally, Sunday I’ll be joining my buddy Rata and M. Fasis at Caracas Rockaway for Shake It Up! 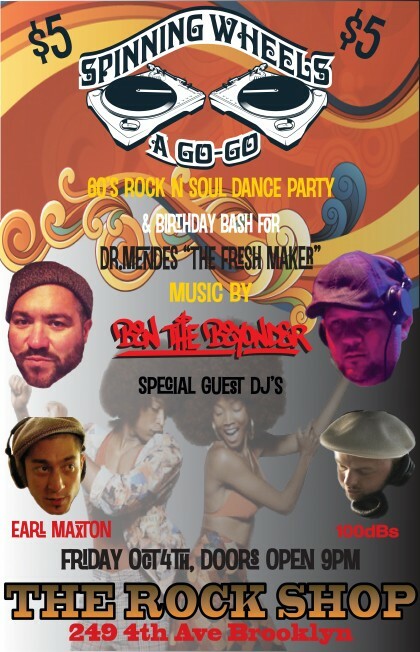 Expect boogaloo, Latin soul, rare groove, funk, and whatever else I feel like grabbing from the crates. We rock from 3:00 til 10:00, it’s on the boardwalk, and you get to stuff your face with arepas. I can’t wait. 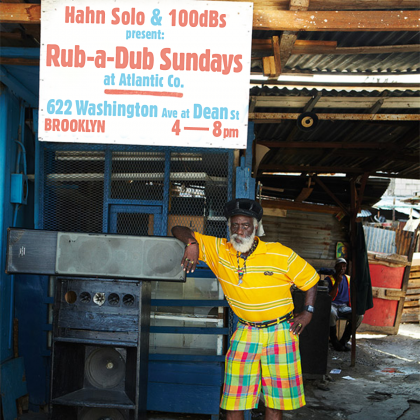 Hahn Solo and I just launched a new Sunday afternoon summer gig at the edge of Crown Heights. 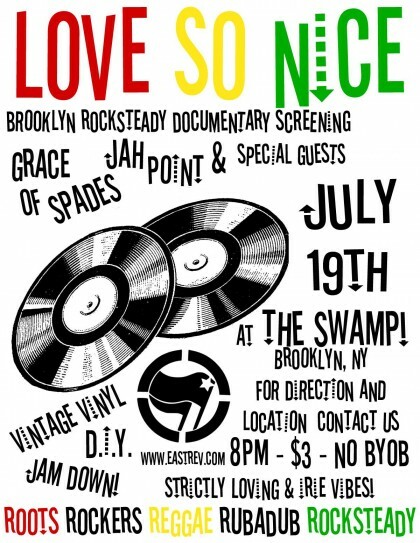 We’ll be at Atlantic Co weekly, playing the finest in vintage reggae at a bar with a backyard. Come check us from 4:00 til 8:00pm – we’ll have special guests from time to time, and this Sunday it’s Agent Jay of The Slackers. Reggae on the Boardwalk Returns! It’s that time of year again. 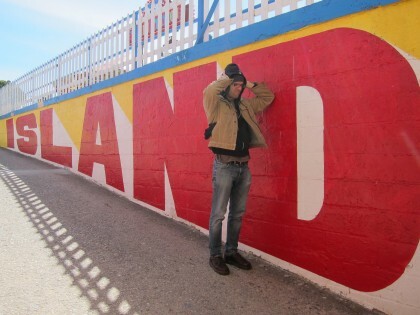 President Carter Van Pelt comin at you with Chanter’s monolithic sound system on the Coney Island boardwalk. The first one is this Sunday, May 26th, with more to follow on June 30th, July 27th, and August 25th. Join us all day from noon til sundown! If you can, please consider donating to the fundraising campaign so this event can continue. The system runs off a few tanks of gas all day and there are many people volunteering their time to help out. Tonight, I’ll be helping Carter and Hahn Solo sling reggae tunes at their new Thursday night gig, now downstairs at the Delancey. We’ll be there from 7 til 10. Bring your dancing shoes. 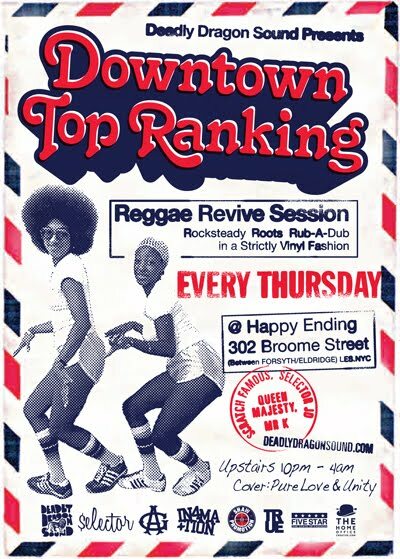 Big thanks to Jeremy Freeman AKA Scratch Famous over at Deadly Dragon Sound for inviting me to play some records at Downtown Top Ranking this Thursday night. 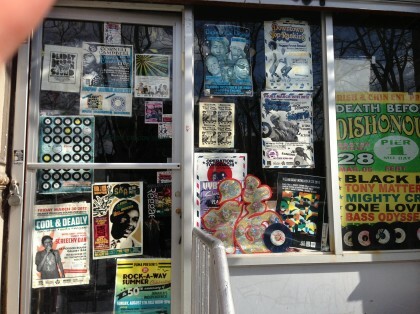 If you are ever digging in Manhattan for Jamaican music and don’t stop by Deadly Dragon then you’re missing out. 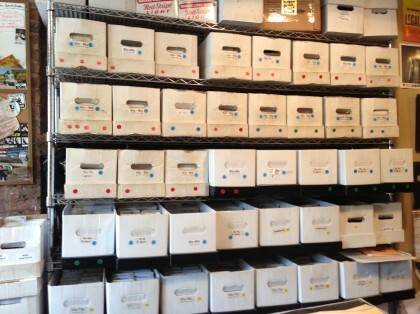 Stacks of 45 boxes organized by all categories (riddim, producer, artist, label) and more greet you from floor to ceiling as you open the door to another world. 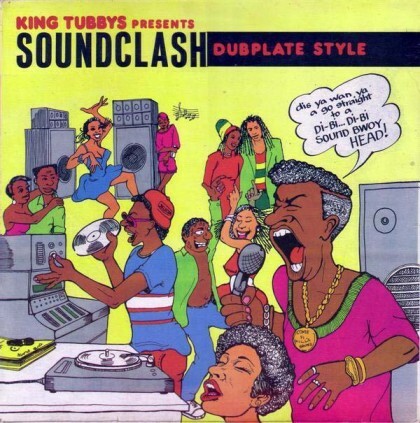 I still remember the first purchase I made there, years ago: Soundclash Dubplate Style, a record Jeremy played for me after I was sent to the store by DJ Eleven because I was searching for hype intros by the inimitable Fuzzy Jones. Yes, this was before his voice was getting sampled left and right by people like Kanye West, and yes, Jeremy knew what I was really after as soon as I mentioned the Super Beagle tune. You may be able to find tunes for cheaper online and during hunts through unmarked boxes in the outer boroughs, but what Jeremy brings to the table is curation and recommendation… and I can’t quite put a price on that. Anytime I have a jones for a certain riddim, he’s sure to find some rare tune I’ve never heard before and place it in my hands. His breadth of knowledge can’t be sneezed at, even if the dust on some of these forgotten gems might make your nose twitch. Pass through tomorrow night as we nice up the dance again, from 10pm til 4am in the morning at Happy Ending. 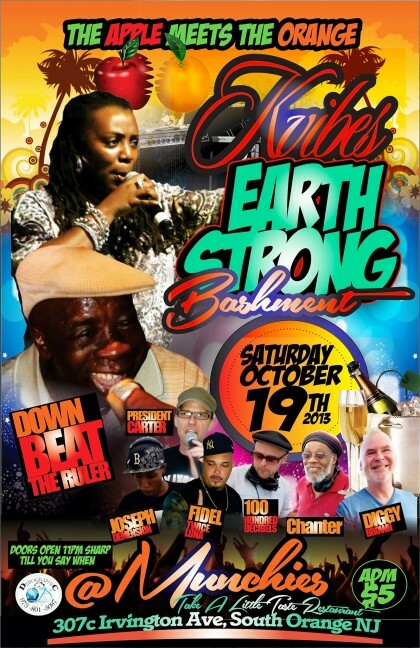 As usual, Scratch Famous will be flanked by Queen Majesty, Mr. K and Selector JD. 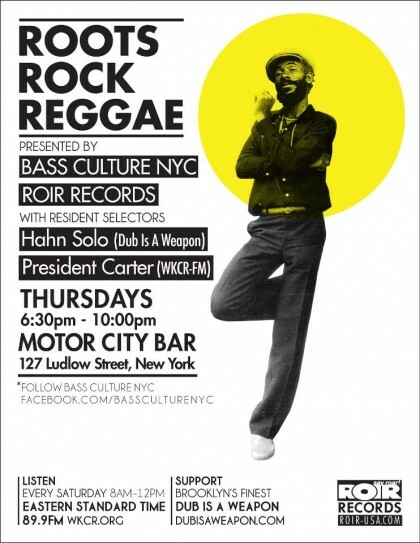 This week brings us the very last Roots Rock Reggae ever at Motor City Bar. They are closing their doors after many years in the Lower East Side. Hahn Solo and President Carter will be holding it down from 6:30pm til 10:00pm on Thursday night. I’m sure many others will pass through to pay their respects and drop a tune or two. I sure will. This spot holds a lot of good memories for me, and the closing of the bar itself is just another sign of the massive changes that have happened downtown. I find myself staying in Brooklyn more often than ever before, because Manhattan has lost a lot of its charm for me. But on this night, we celebrate the thousands of big tunes unleashed in one of the last dive bars left in the LES. Forward ever, backward never! Love is hard. 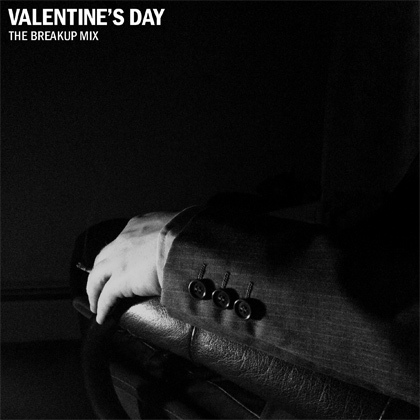 Download my new mix.